At E-Lock, e-banking comprises four major components: data integration, authentication, non-repudiation and confidentiality. For banks, e-banking becomes a valuable tool to attract and retain new customers, while eliminating costly paper handlings and teller interactions. The trust factor is highly valued in implementing such services; therefore, a higher priority is given to the security infrastructure. Our solutions can be easily integrated into an e-banking application without disturbing the current workflow, making them secure, authentic, and cost effective. E-Lock solutions are compliant with worldwide e-signature legislations. In recent times, e-banking users have become vulnerable to phishing attacks. Many customers globally have fallen victim to these attacks and have ended up sharing their login and password information with the hackers. 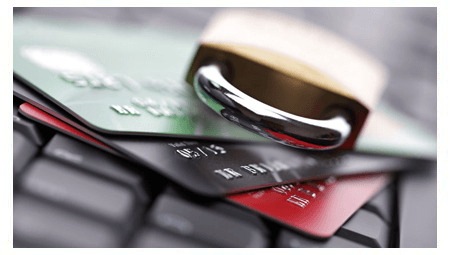 Considering this scenario, secure online financial transactions have become necessary in these times. This is where E-Lock adds value to the customers� offering. Following the encryption-decryption method, E-Lock solutions make the online transactions secured and protected. From digitally signing bank statements/reports to online loan applications, our solutions can effectively help banks in serving their customers. Using E-Lock solutions, digitally signed statements/reports can be sent to the customers in bulk via emails in an encrypted format. To decrypt the sent data, a decryption password is provided to the customers to maintain statement privacy and data integrity. At present, ABN AMRO is using E-Lock S/MIME ToolKit solution for digitally signing customer account statements. In terms of online loan applications and other request forms, our form signing solutions allow applicants to sign data and submit it to the bank. After verification and authentication of that data at the server level, it�s further transferred to the concerned department for processing. As it eliminates the need for physical presence in such cases, the entire process becomes faster and more convenient for customers, building their trust in the bank. Currently, the Romanian Commercial Bank is using our FormSeal as an online form signing solution. This has been used for verifying and authenticating the loan applications online and approving the loan requests. In both these cases, these financial institutions are finding it easy to maintain good customer rapport along with satisfying their security concerns. At E-Lock, the customers will find both security and cost-effective means of serving their clients.